Yron the moon god died, but now he's reborn in the false king's son. His human father wanted to kill him, but his mother sacrificed her life to save him. He'll return one day to claim his birthright. He'll change your life. He'll change everything. Smiler's Fair: the great moving carnival where any pleasure can be had, if you're willing to pay the price. They say all paths cross at Smiler's Fair. They say it'll change your life. 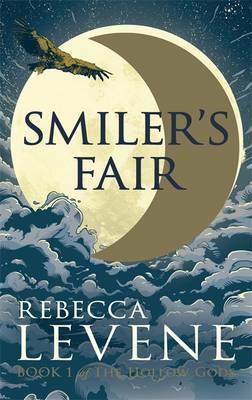 For five people, Smiler's Fair will change everything. In a land where unimaginable horror lurks in the shadows, where the very sun and moon are at war, five people - Nethmi, the orphaned daughter of a murdered nobleman, who in desperation commits an act that will haunt her forever. Dae Hyo, the skilled warrior, who discovers that a lifetime of bravery cannot make up for a single mistake. Eric, who follows his heart only to find that love exacts a terrible price. Marvan, the master swordsman, who takes more pleasure from killing than he should. And Krish, the humble goatherd, with a destiny he hardly understands and can never accept - will discover just how much Smiler's Fair changes everything.